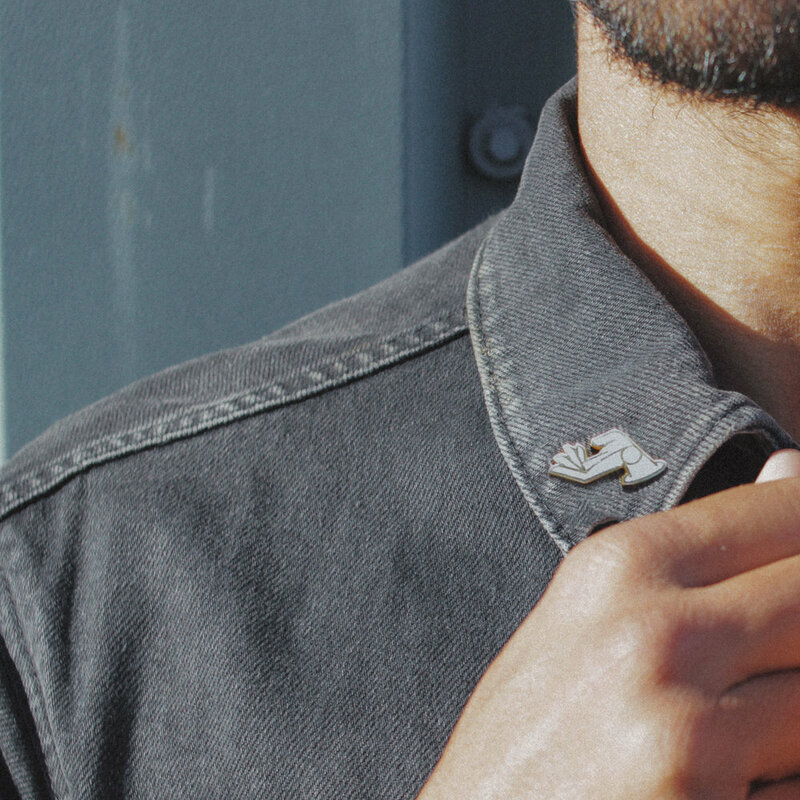 A collection of pins, patches and accessories inspired by the pressures of the mind. Whilst this was an inspiration for the collection, these designs are to be embraced by all. Because everybody needs the occasional 'helping hand'. Your own little badge of honour. I have worked on a number of projects with local book binder Tim Lawrence. His hand-bound notebooks and bespoke commissions are always incredibly beautiful. A truly skilled craftsman. Our graphics collaborator, based in Brighton and run by Graphic Designer and Jewellery Maker Charlotte Preston, Copper Moth can cater for a wide range of design needs. John is the most patient and encouraging teacher I have had the pleasure to learn from. His highly-equipped studio in Penryn is a fantastic space to get creative with all methods of printing. Great photography is one of the best ways to really add value to your brand, and great photography is what Victoria May Harrison provides. Minimal and dreamy styling for products and portraits. The Collection would be nothing without the help of these guys. High quality goods, top-notch knowledge and nice guys and girls to boot. Excited for the next set of designs. This specialist print house, based in Somerset, really pull out all the stops when it comes to printed goods. Great paper stocks, incredible print quality and impeccable customer service.